Travelling to the heart of Victoria? With an extensive selection of boutique B&B’s, historic houses and cottages as well as majestic Victorian hotels, our range of Goldfields accommodation is certain to have the room you are searching for. 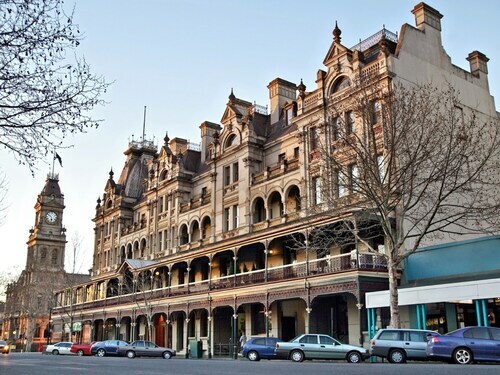 The elegant Goldfields of Victoria are steeped in history and represent an Australian cultural Icon. Bendigo and Ballarat offer visitors the chance to travel seamlessly from the Victorian era to modern Australia as you marvel at ornate Victorian architecture while relaxing at a cosmopolitan sidewalk café. In the evening don’t miss the opportunity to dine at one of the local restaurants and sample the fresh, local ingredients and regional wines. 150 years in the making, the Goldfields boast some of Victoria’s most stunning gardens. Be sure to wander through Ballarat Botanical Gardens, White Hills (Bendigo) Botanic Garden and Malmsbury Botanic Garden just to name a few. If it’s Art you are after, the Goldfields are home to some of regional Victoria’s finest galleries. The Ballarat Fine Art Gallery, Bendigo Art Gallery and the Castlemaine Art Gallery and Historical Museum showcase a stunning array of both European and Australian collections as well the original Eureka Flag. Use our Goldfields accommodation as a base to discover the history of the gold rush, Victoria and the events that helped forge Australia. Nothing captures Victoria’s gold heritage like a visit to the Eureka Centre or the Central Deborah Gold Mine. Both attractions offer the chance to go back in time and offer a glimpse at regional life in the mid 1800. For some people just a glimpse won’t be enough, if that’s the case why not visit one of Victoria’s most popular tourist attractions, Sovereign Hill. Set on a former gold mining site this recreation of Ballarat in 1850’s is the perfect vehicle to recreate the hustle and bustle of regional life. 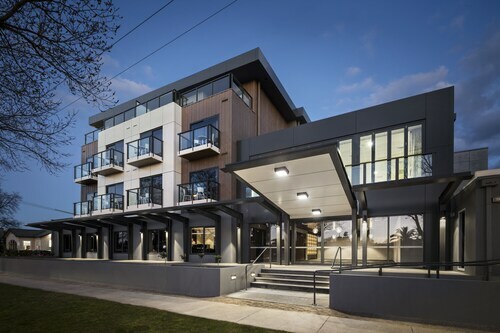 Whether you intend to explore the Goldfields above or below ground, our Goldfields accommodation will have you rushing to regional Victoria for a golden accommodation deal. 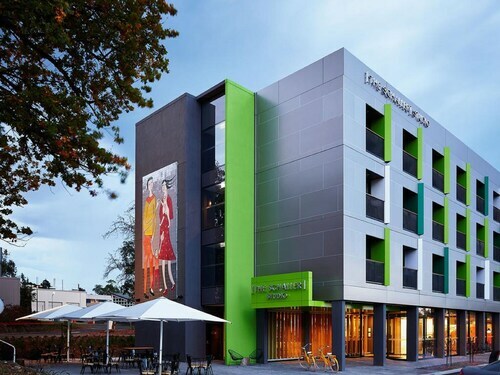 How Much is a Hotel Room in Goldfields? 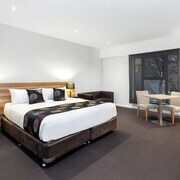 Hotels in Goldfields start at AU$82 per night. Prices and availability subject to change. Additional terms may apply. We have stayed here several times over the past few years, and enjoy the modern and comfortable facilities. A comfortable stroll to Rosalind Park and Pall Mall, and the gallery too. Lovely Heritage building close to everything in town. Beautifully renovated room and the continental breakfast was more than expected.